There’s so much talk about contouring these days – it’s hard to escape this beauty trend. I can’t deny that every once in awhile, I do love a subtle, classic contour, nothing too crazy. I simply like to map out the highlights and shadows of my face, while enhancing them. 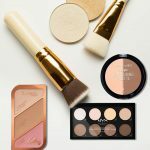 Whether you’re an occasional contour-er or are big on the ‘Kim Kardashian-esque’ contour style on the regular, I tried and tested some drugstore contour kits and gathered up the best for you. Sculpt your face like a pro, on a budget! This NYX palette has to be one of my top favorites. I’ll tell you why! Let me begin with the packaging – this has eight shades to contour and highlight, and each pan pops right out if you want to take any out of the palette. The shades have a crazy amount of pigmentation, and with a light tap of your brush, you can pick up just the right amount of product for a proper, chiseled contour. Even the lighter shades show up well on my skin! Their texture is incredibly soft and smooth, and leaves you with a glorious finish. This is a powder-based palette, and it’s great for all skin tones with the variety of shades it carries. Also, it’s one of the best options if you’re just starting out with contouring. This universally flattering blush, contour, and highlight is a popular pick amongst celebrity makeup artists and is used to prep actresses like Rashida Jones and Kristen Stewart. I love its light packaging and how easy it is to use. It’s available in three shade options – 001 Golden Sands, 002 Coral Glow, and 003 Golden Bronze. 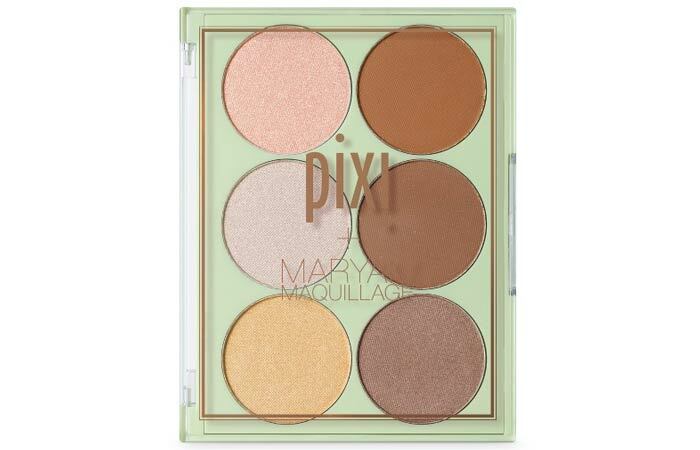 The pigmentation and the texture are both beyond amazing for an under $7 palette. Also, it’s so convenient to just throw into your purse and carry it with you when you’re on the move. 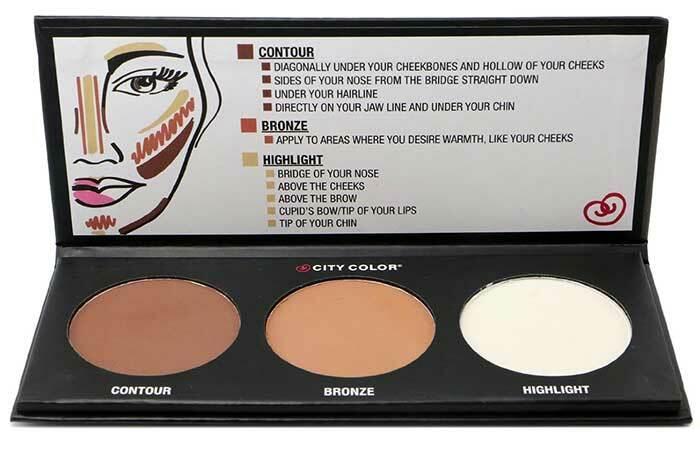 This contour palette, with its shade options, has something for every skin tone. Definitely grab this while you can! This palette by CoverGirl designed by celebrity makeup artist Pat McGrath has a set of ultra blendable formulas to highlight, contour, and bronze your face. Available in two shade options, these are designed for light, medium, and deep skin tones. I like how this gives me a very natural finish, just the way I like my contour. The blendability is great, and for the price, this is such a great pick! 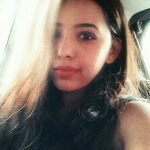 These shades are cream-based, and one of the shade options will suit your skin tone with ease. Like I said, whether you have light, medium or a deep skin tone, there’s something for everyone. Must try! Celebrity makeup artist Monika Blunder, who has a dazzling client list that includes Amanda Seyfried, Molly Sims, and Chelsea Handler, loves this palette to get clients “red-carpet ready”! 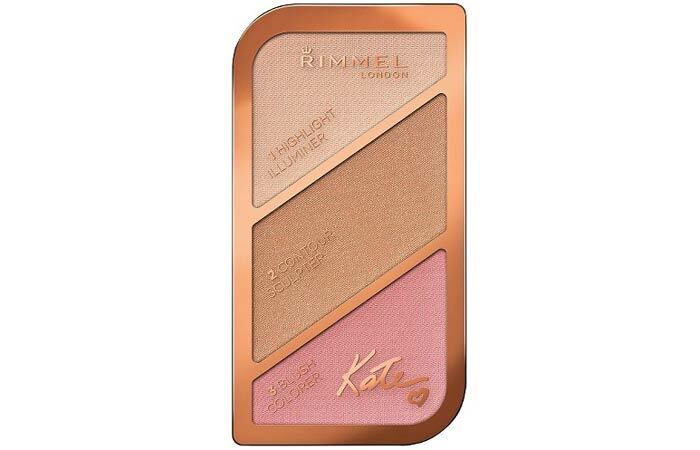 This powder trio palette has three gorgeous matte shades and is great for daily use as it provides a subtle, natural-looking contour. For minimal makeup lovers, this palette will be your holy grail. The packaging is slightly annoying as the lid opens up awkwardly, but besides that, every aspect of this contour kit is worth raving about! This will suit all skin tones and skin types, even those with really sensitive skin could give this a try! This affordable contour kit looks incredibly classy with its minimal packaging. 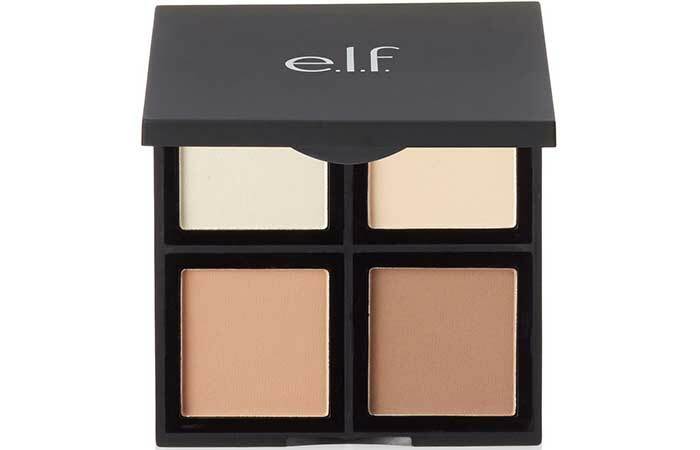 The pans can be removed and replaced, which makes it very customizable if you own other e.l.f products. The shades have rich pigmentation, and they glide smoothly onto your skin. Make sure you use a small brush to pick up the product to avoid wastage. 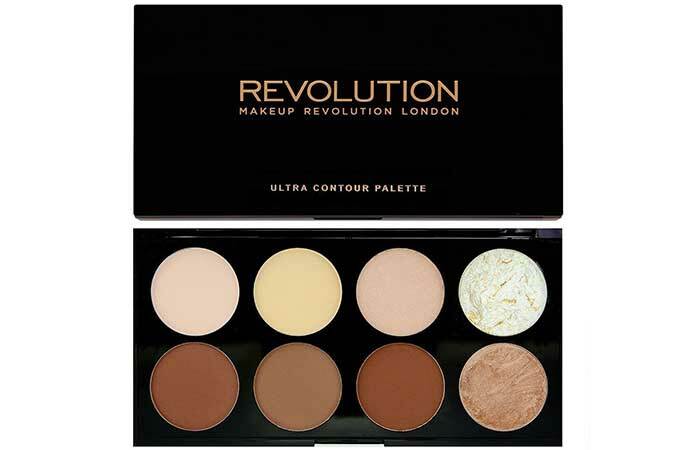 This will suit all skin tones and is a great contour kit for beginners. If you’re looking for a cool-toned contour powder, this is it. The highlighter in this kit also happens to be a gem! Both the contour and highlighter are really easy to blend, and the lasting power is decent with an average time of 5-6 hours before they start to fade slightly; but this also depends upon your skin type. If you want a natural-looking, matte finish contour, do try this out. This will suit most skin tones and is really easy to use! This palette contains three highlight and three contour shades to create realistic shadows to recede features and add depth. The shades glide onto the skin smoothly, and some of them have a creamy texture. This palette can also be used as eyeshadows besides for contouring and bronzing. Since the color scheme leans towards the warmer spectrum, these aren’t recommended for pale or cool skin tones. 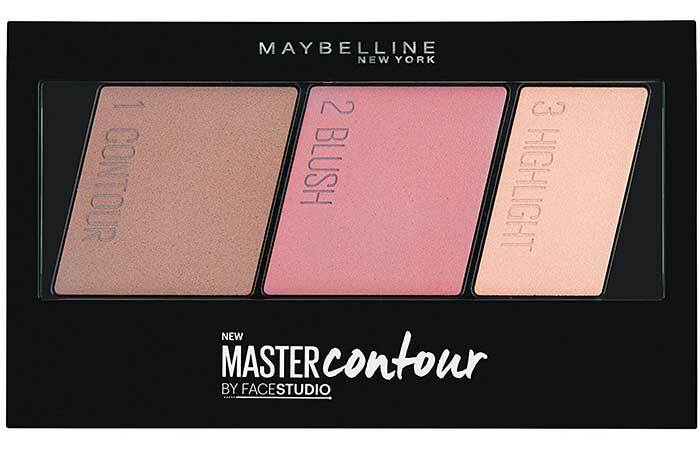 This Maybelline palette comes in two shades – light medium and medium deep. I particularly liked its packaging. The shades are soft and textured powders with a matte finish. The blendability is great, and it gives you a subtle contour that’s great for work or daily wear. 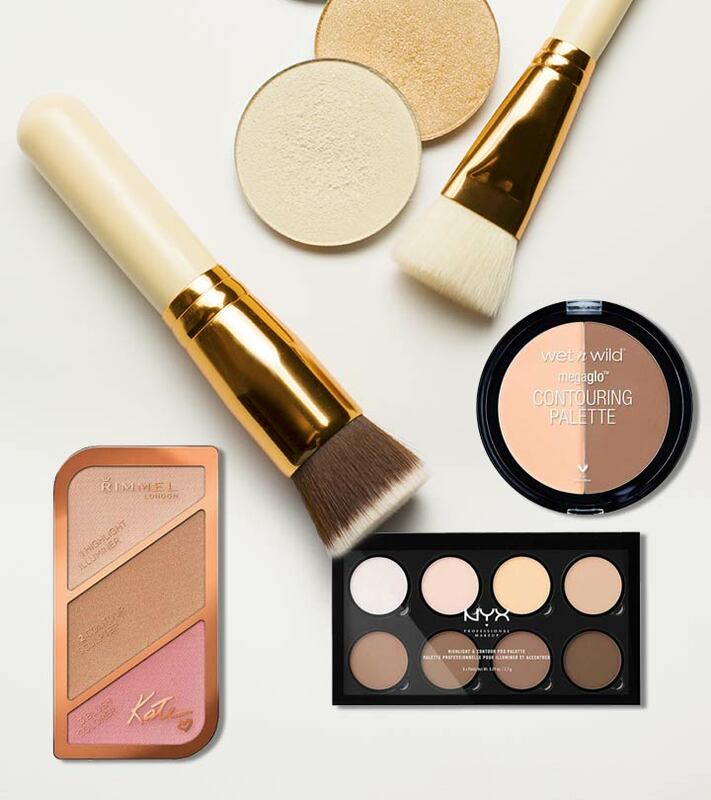 The blush, highlighter, and contour have considerable longevity and stay on the face for a good 6-7 hours. A setting spray increases the longevity. This kit would suit most skin tones, and if you have sensitive skin, you could rely on it to not break you out or cause any irritation to your skin. This palette has a set of extremely pigmented and blendable shades that don’t look too over the top. You have a set of eight shades to work with, and there’s minimal to no fall out with most shades. Its packaging is black and sleek with a reflective plastic case and a large mirror inside, which makes it look like a high-end kit. This is an excellent budget option! 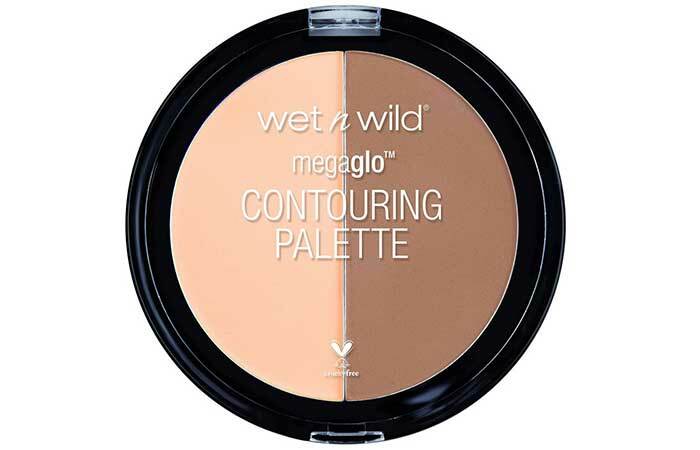 It would look great on most skin tones and is one of the best contouring palettes for beginners. I feel this is such an underrated contouring kit and more people should actually give this a try. Let me tell you why! It’s a great dupe of the Too Faced Chocolate Soleil Bronzer. It provides you with a subtle, natural-looking contour. Nothing too intense! The duo consists of perfectly complementary contouring powders that are very pigmented and buttery. I also loved the lasting power. 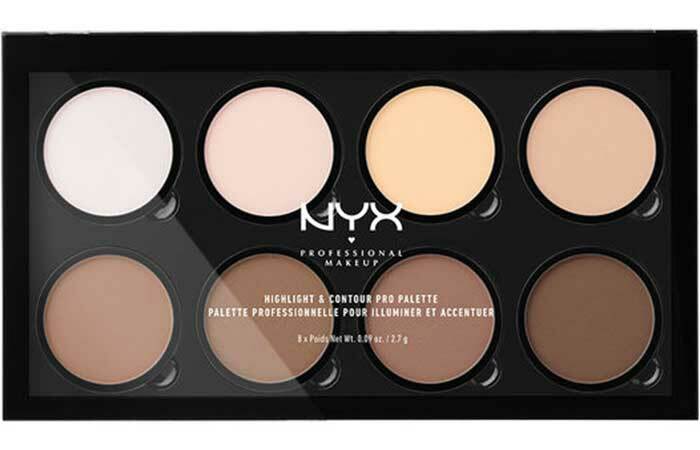 Overall, this is one of the most affordable drugstore contour kits. It would suit various skin tones and is a great choice if you’re only starting out with contouring and highlighting. 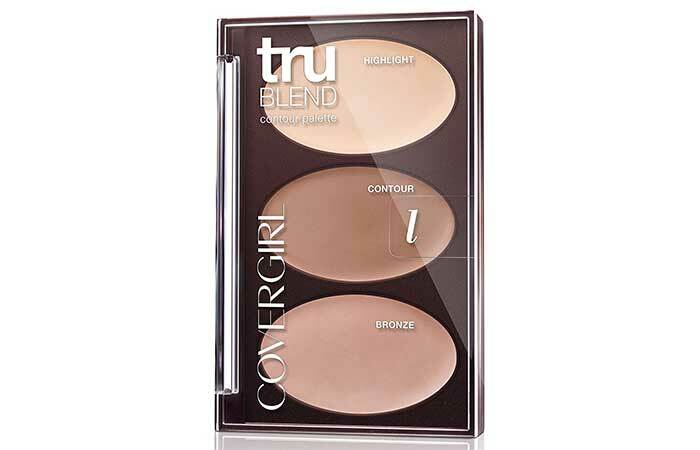 This contour kit comes in a magnetized cardboard pack – It’s sleek, lightweight, and simple. 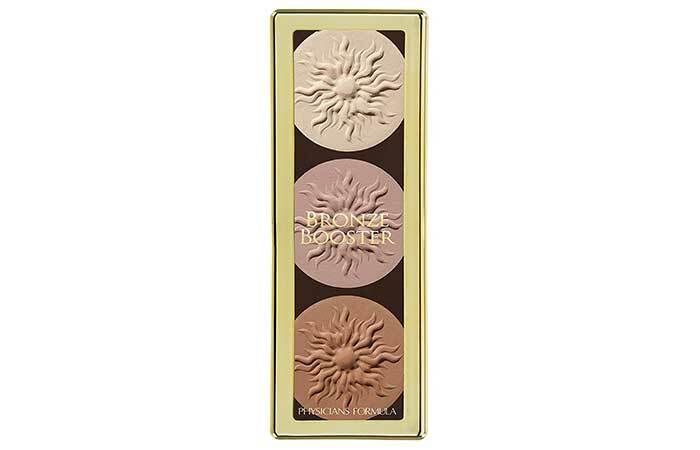 It consists of three round pans – for contouring, bronzing, and highlighting. The texture is smooth and blends like a dream. It lasts for more than 6 hours, even on my combination skin, which is a blessing. Its great for all skin tones and is super easy to use. 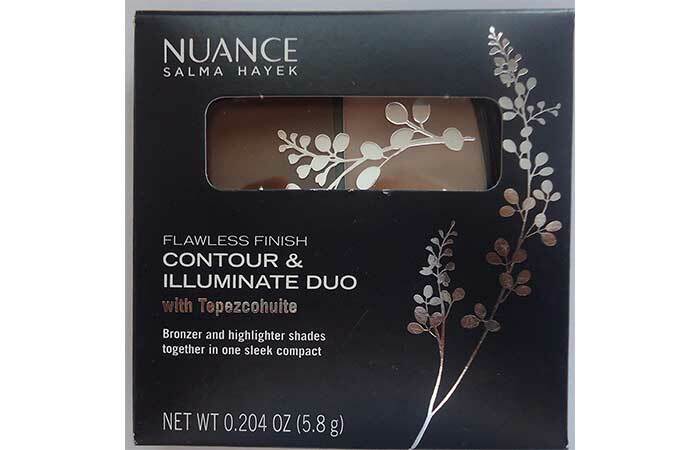 This palette by Hollywood’s Salma Hayek is pretty amazing. It defines your best features with much ease and is so lightweight. Once you apply the sheer, buildable formula, you can’t even tell if it’s there. I love the pearl-infused cream illuminator. This palette allows your natural sheen to shine through without having a full face of makeup on. It would look perfect on all skin tones, and if you’re going for a fresh, flawless, natural look, this one’s a must try! Now that you have some solid drugstore options to pick out a contouring palette, let me give you a few tips on choosing the right colors for contouring. Pick a base – powder or cream. It’s always recommended to start out with a powder base as this gives you more control over your technique. You can always move on to the cream-based stuff later. Invest in high-quality brushes. This is the ultimate game-changer because using brushes that blend well is so essential to the whole process of contouring. Remember, blending is key to flawless contouring. Test out various colors until you find a shade that works best for your skin tone. Use a highlighter that is about two shades lighter than your foundation and a shadow that is two shades darker. Add a pop of blush to the apples of your cheeks to soften your contoured look. It’s best to avoid warm-toned (orange/golden) products. You’re trying to create the illusion of shadows on your face to lift and define it. Look for cool ashy-toned products. Do not try to carve out and contour your face with something shimmery – this will look messy, unnatural, and really cringe-worthy. Always, always use a matte product! Are you ready to give yourself a pro-grade contour and see what the rage is all about? That was my roundup of the best drugstore contour kits, and some of them are so easy to use that even newbies can comfortably master the skill. Also, you don’t have to spend a fortune for a little definition on your face. 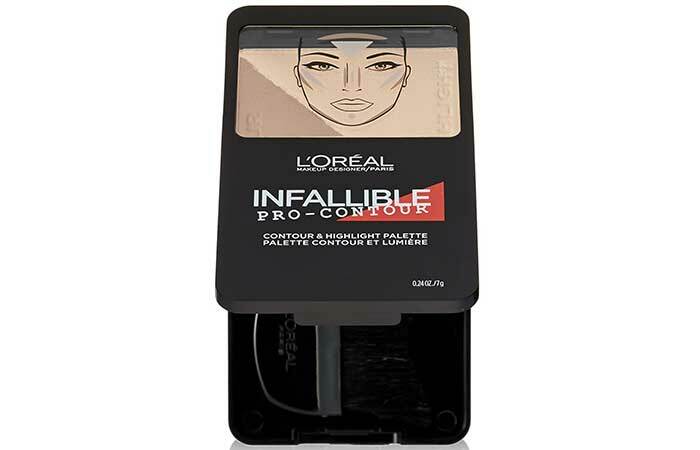 Do you have a go-to contouring product? Share with us in the comments.